Meaning is not something you stumble across, like the answer to a riddle or the prize in a treasure hunt. Meaning is something you build into your life. You build it out of your own past, out of your affections and loyalties, out of the experience of humankind as it is passed on to you, out of your own talent and understanding, out of the things you believe in, out of the things and people you love, out of the values for which you are willing to sacrifice something. 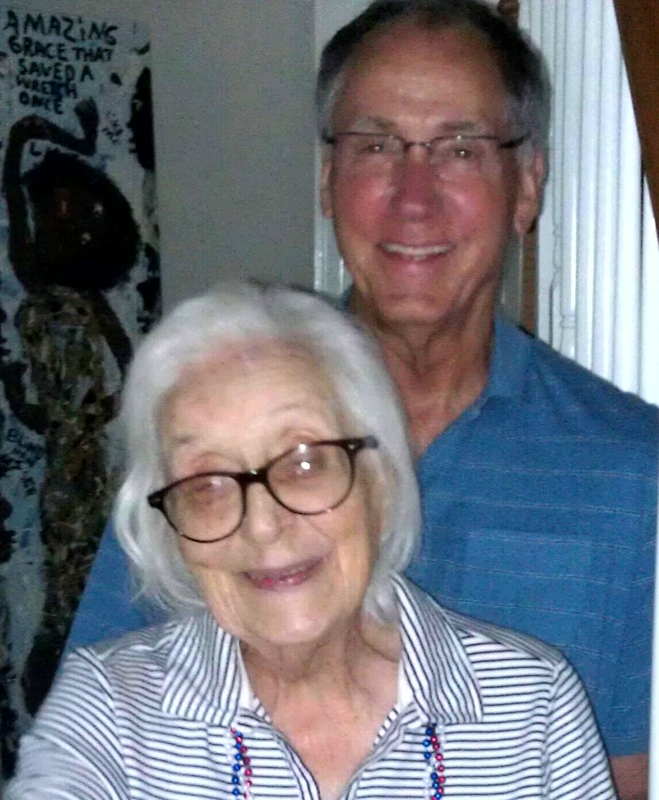 My name is Tom Laughon, and as the title of my blog suggest, I am the proud owner, son and caregiver of a 91 year old mom whose name is Helen! I guess you could say my mom taught me the values, mindsets and skill sets to get where I am, and now I am using all I have learned and am continuing to learn to show my gratitude and love for her at this stage in her life. I honestly can’t even get my arms around 91. Mom was born on Christmas Day, 1920. It conjures up all sorts of things in my brain, but is so far, far away in time, that it is hard for me to truly understand or relate to. I must admit, until now, I haven’t had a real interest or need to understand those times. It’s challenging enough for me to understand whatever time I am in at any given moment to back track. I said I am the proud owner of mom, because I have trusteeship of her and her domain, a legal word that comes loaded with lots of challenges, opportunities and accountabilities. It is not for the faint of heart and nothing fully prepares you for the responsibilities it brings your way. I keep reminding myself that my mom has invested her mind, heart and soul in me … stood by me through thick and thin … good times and bad. So, though it is daunting, I consider it an honor to give back at least a small portion of what she has given me. Since my father, Fred, passed away in 2002 and my younger sister, Nel, in April of this year (from Early Onset Alzheimer’s), mom and I are the last two standing from our core family. As I stand by her, I am learning more and more about her each day. And, my blog will be our journey that I will share with you: who mom was, is and always will be. And in the process, I will share who I am and who I am becoming as a result of where we, mom and me, each find ourselves in this moment in time … together. Oh, and have I told you how much I love my 91 year old mom and how much I am looking forward to this journey? Stay tuned and you will be told over and over again! Thanks for joining mom and me and being a part of our journey! This is very sweet and she would just love it. I love that you are writing this blog. It makes me happy to read your thoughts on Helen. She is truly an amazing woman! Hope your family and you are hanging in there. Just know how much I love you and how often your name comes up in my family (Melissa, Tovi and Lissi). Thomas (14) just got back from his first trip to Sweden. He and Chris (his dad) had a ball, learned a little Swedish and are calling it one of the best trips they have ever taking. Long live the Swedes! I am your 2nd cousin, Neville Wood Feil’s daughter. I stood in your position with Neville and found the experience most interesting, sometimes horrifying and always entertaining. Love seeing pictures of you and Helen. I will pass the sight on to all the Charlottesville cousins. Please give Helen a big hug for me! Keep this work up, Tom…it is invaluable to those of us who love your Helen. To each and everyone of you, thanks so much for being on this special journey with mom and me. Nancy, consider you request to give mom a hug for you done! I am so Impressed! This is exactly what more of our society needs to do – to value our elderly, the parents that supported us all our lives, sacraficed and gave their all for us, Now we di it for them! What a wonderful lesson to teach your children and grandchildren!! My Father has Parkinsons and has begun the dementia stage of this desease, so Though he still is living with my Mother, I will be very involved in their care, and am already an executor of their estate. I was feeling a little nostalgic this morning, and I decided to Google Nel. I have not been in touch with anyone in your family for many years, so I was shocked and saddened to learn of her death from early onset Alzheimer’s. I am so very sorry that she and you all had to have such a trial. I remember her quite fondly. She was a lot of fun to be with, as were your parents. You may not remember me,since we only met in passing a time or two, but of course I heard all about you from Nel. We even went to hear your band play for one of the “wild parties,” (or was it a “quilting bee?”) one night in Gvl. The last time I actually saw Nel and your parents, I was married to Jo Nez, and we spent a few days with them in the restored house in Richmond. Of course, Nel and your mom did our silluoettes, and we went to Williamsburg and saw the doll furniture at the museum. That was probably in the late 70’s. Regarding your Blog about your mom, I think it is a hoot! I spent some time reading it, and burst out laughing several times! Not only is it entertaining, but it has a lot of instructive value to people who may be dealing with similar situations. You are a gifted writer, and you are able to show how you cope with things that could be quite frustrating, but for the Laughon family ability to see life through a grin and a positive attitude. Your mom may or may not remember me, but I remember her quite well, and I am glad to know that she is still with you, and that she still has a lot of personality. My mother passed away in 2007 at the age of 88. She suffered from Alzheimer’s for several years before she died. I have signed up to get email notifications of new postings, and I look forward to the continuing adventures of Helen and Tom! Beautiful… my husband works for an 86 year-old rancher who still works every single day. It’s amazing, really. I love that you still have your momma around. Dear Tom, I am a friend of your beautiful daughers, from Wilmington, and I just wanted to commend you on this lovely gift you are creating for your family. Y’all are so lucky to have your sweet mom for 91 years and counting. And, even though the memory loss is heart-breaking, the memories you are making are priceless. And I know that you will count these days among the most cherished of your life. Love to you. Love to Lissi. Love to Tovi. And, most of all, LOVE LOVE LOVE to dear Helen. I just found your blog and want to tell you how glad I am that you are writing it. My mom was also born in 1920 but she passed away just over a year ago and I sure miss her. Now I am the caregiver for my 94 year old father who has early Alzheimer’s. I am glad I can be with him but sometimes overwhelmed with the decisions to be made. I am also always trying to help him overcome the loneliness he suffers since mom is gone. Thanks for blogging. I know you will help me in my caregiving as well. Hi Tom: Your mom is something else and so are you! I just started a blog today based on my experience as my mom’s caregiver. Please stop by and visit sometime. Hi to your mom!!! Thanks! I’m sure it’s too late for my entry into the capt’n Salty Smirk and Polly contest. But I just saw your blog for the first time this morning and since there are no rules I’m gonna still enter. Here goes: Polly was her partner, for all those many years. Sat up on her shoulder thru the laughter and the tears. Put Polly left her early, simply fell right off her seat. But Capt’n got the last laugh, cause Polly proved a tasty treat. Sorry for the late reply. I missed your entry completely, but I am glad I found it. You made me laugh right along with the Capt’n! No rules is the best rule! Thanks for entering the fray. It’s comments like yours that keep this old blogger blogging! I am trying to find an email address to send you a letter regarding your mother and grandmother’s silhouette book. FYI, that would be my mom and sister.